Congratulations! 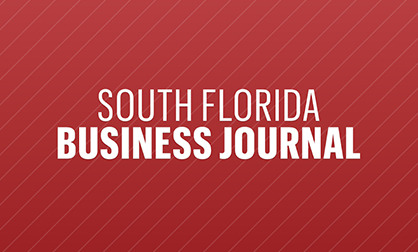 Acordis International has been selected by the South Florida Business Journal as a 2015 Business of the Year Awards Finalist! The Business of the Year Awards were created to give recognition to those organizations that build the South Florida economy through solid business practice, dedication to our community and financial growth. Acordis International Corp., is an industry leading provider of IT Management & Solutions recognized as one of America’s Fastest-Growing Companies by Inc.5000. The firm’s solutions includes Data Management, Infrastructure Management, Collaboration, Data & Enterprise Networks, Managed IT, Digital Signage, IT Security, MFP’s, and more. The 2015 finalists will be honored at a special cocktail reception and dinner on Thursday, April 30, at 5:30 p.m. at The IGFA Fishing Hall of Fame Museum. During the evening the winners in each category will be announced, including the H. Wayne Huizenga Start Up Award and will present the 2015 Lifetime Achievement Award to Mike Jackson, CEO of AutoNation. Another successful year for the Acordis Team and a recognition for their hard work and dedication.